ROBsessed™ - Addicted to Robert Pattinson: The Lost City of Z edition: Is that you Robert Pattinson? 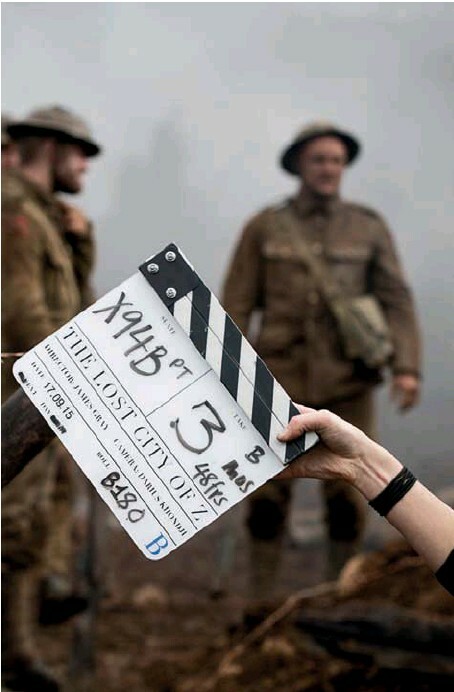 The Lost City of Z edition: Is that you Robert Pattinson? We pride ourselves of being able to identify BlurryRob in the toughest circumstances but some times a picture can make us ponder for a bit...this is one of those times. RPAU has a good translation of SO Film's set visit and chat with James Gray HERE. The article also included BTS photos. One of those photos is designed to test your ROBsession. Let us see the evidence. These are the things that lingered in my ROBsessed mind. WHAT DO YOU THINK??? Take the poll and then tell us in the comments why you're saying, "AMEN, Tink!" or "Guuuurl, you crazy. You probably think a carrot looks like Rob." That's totally Rob on the TLCoZ set!